NO. 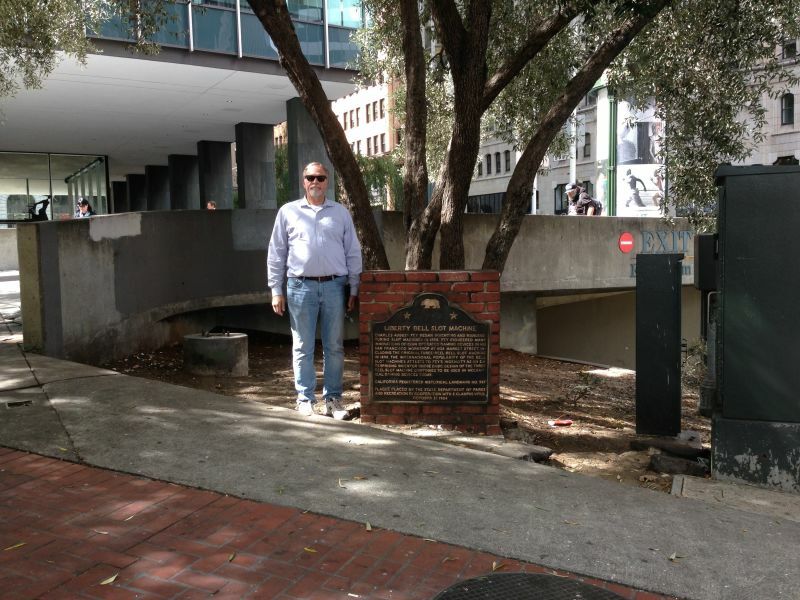 937 SITE OF INVENTION OF THE THREE-REEL BELL SLOT MACHINE - Charles August Fey invented the first coin-operated, three-reel slot machine in San Francisco in 1895. 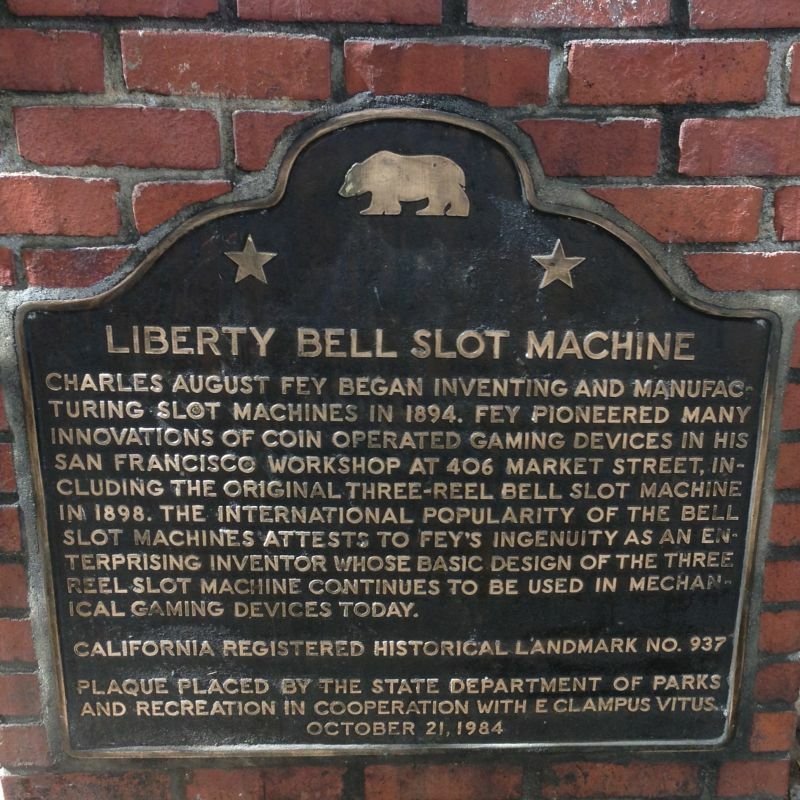 Fey continued to manufacture the popular 'Liberty Bell' gaming devices in a workshop located at 406 Market Street from 1897 to 1906, until the workshop was destroyed by the 1906 earthquake and fire. The international popularity of the bell slot machines attested to Fey's ingenuity as an enterprising inventor whose basic design continues to be used in mechanical gaming devices today.